Many of us have visited the Water Conservation Garden in El Cajon (theGarden). Director of Horticulture and Exhibits, Clayton Tschudy, will update us on the ecology landscaping and other waterwise lessons from theGarden. Founded in response to the drought of the late 90’s, the Water Conservation Garden has nearly 20 years of experience in the local use of drought tolerant plants and xeriscape garden management. Clayton Tschudy will discuss the successes and challenges faced by theGarden over the years and innovations being undertaken in response to the current drought crisis, such as bioswale water capture, cutting edge irrigation technologies, and hugelkultur trenching for improved drought tolerance in trees. Additionally, he will lecture on the Garden’s new Native Habitat, a drought tolerant landscape based on ecological principles and local plant diversity that features habitat components for native butterflies. Clayton Tschudy is an environmental biologist and has practiced sustainable landscape design for over 10 years throughout California. He specializes in restoration and habitat design, and is the designer for the ongoing Zoro Butterfly Garden retrofit in Balboa Park. Tschudy consults with numerous organizations on public projects including the City of San Diego, City of Chula Vista, Port of San Diego, San Diego Canyonlands, and others. 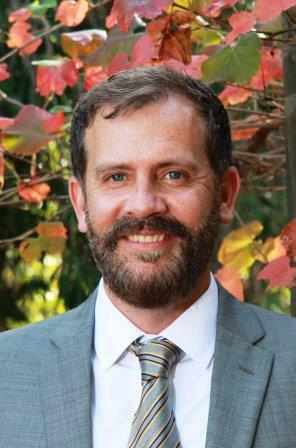 He is a board member of the California Native Plant Society in San Diego and sits on the Wildlife Advisory Group for the Port of San Diego and the City of Chula Vista. He attended Humboldt State University for botany.